Are you afraid of dogs? If not, maybe you should be. At the very least, it pays to be aware of them and to be careful around animals you don’t know. Although most dogs will never attack, it only takes one to turn your world upside down. In July 2018, a family who was dog-sitting for a friend in Jacksonville was mortified when the pit-bull mix attacked their young child, sending the six-year-old to the hospital with life-threatening injuries. In February 2017, a neighborhood dog mauled a three-year-old girl while walking to the store with her father in Miami. In this country alone, someone gets medical attention for a dog bite every minute of the day, 24 hours a day. That’s about 4.5 million dog bites every year. 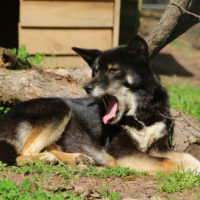 Besides the pain and trauma of the bite itself, about 20 percent of bites develop an infection. In 2016, a total of $600 million was paid out in homeowner liability claims for incidents related to dog bites. That accounts for more than a third of all homeowners’ claims that year. Beyond liability expenses, another $165 million goes to medical costs. If a dog does lunge, it sounds ridiculous, but make every effort to remain calm. Try to sound authoritative and say, “No,” or “Go home!” Avoid making eye contact or facing the dog directly. Raise your hands to your neck and hopefully the dog will retreat. If it attacks, do your best to remain on your feet, and put anything you have, such as a purse or backpack, between yourself and the animal. If you do wind up on the ground, protect your head and torso. If you or a loved one has experienced a dog attack, you are not alone in the aftermath. As you struggle with the physical and emotional devastation of the attack, the experienced legal team at the Law Office of Robert W. Elton will be working hard to make sure the dog’s owner is accountable for the harm caused. Contact us in Daytona & Ormond Beach to discuss your situation with us today.